Frenetic scholarly activity has raged over differing interpretations of the book of Daniel. Many liberal scholars claim that it is full of fanciful accounts, some that the prophecies were written after the events occurred. Bob Fyall deals with such questions in his introduction before he goes on to explain the text. He shows us why it was written and when it was written. Daniel is an excellent example of godly living and there is a theme throughout the book of Daniel that God reigns sovereignly and that he will use those who know him to do exploits in history. The book of Daniel is also a book that contains prophecy and visions. Some of the prophecies are remarkably detailed and are fulfilled in history, others concern the coming kingdom of the Messiah. Fyall provides guidelines for us to use in coming to a bibical understanding of God's plan for the world. Daniel : Focus on the Bible by Bob Fyall was published by Christian Focus Publications in September 2006 and is our 20804th best seller. 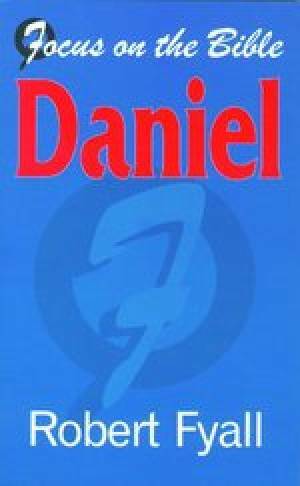 The ISBN for Daniel : Focus on the Bible is 9781845501945. Be the first to review Daniel : Focus on the Bible! Got a question? No problem! Just click here to ask us about Daniel : Focus on the Bible.